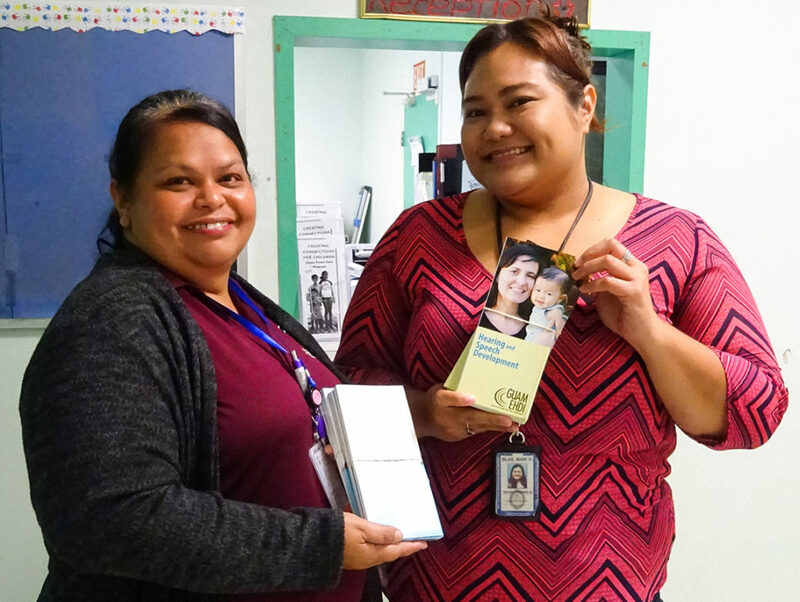 Jan. 25, 2019: The Guam Early Hearing Detection and Intervention (Guam EHDI) Project provided copies of the Guam EHDI brochures to pediatric clinics. These publications promote the importance of newborn hearing screening, early detection and intervention services. Pictured from left to right: Tanya Simer, Guam EHDI Staff, and Dr. Yolanda Carrera, Pediatrican. 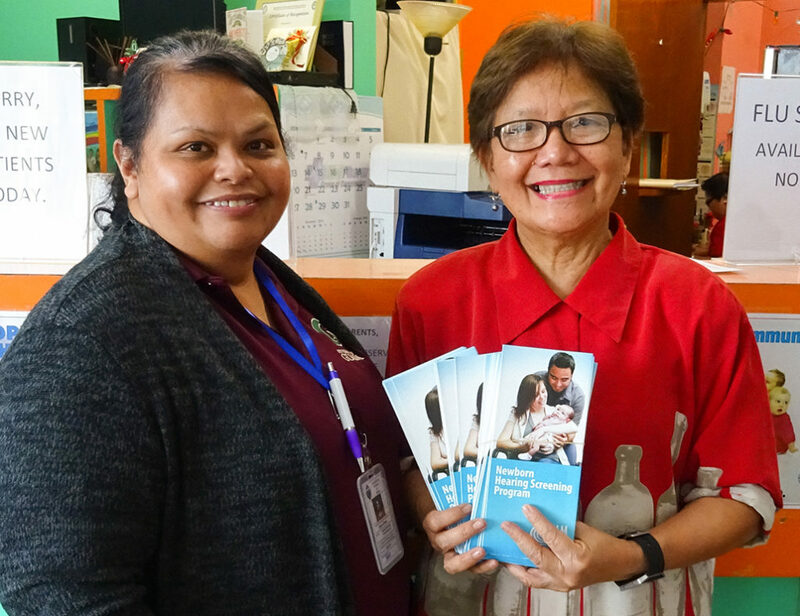 Guam EHDI brochures were also provided to Department of Public Health and Social Services (DPHSS), Bureau of Social Services Administration (BOSSA). Pictured from left to right: Tanya Simer, Guam EHDI Staff, and Mari Blas, BOSSA Social Worker.